It’s always nice to see that one of your creativity retreat leaders has entered creative burnout, right? But let’s be honest here – life happens. And while I’d like to come to you with all the answers and the foolproof solution for being able to work through life’s tough moments, I have to be real. Life happens. And sometimes, life is tough. And sometimes, we need to shut down. Creative burnout leads to insulating. One of the words that has been reverberating through my head lately is insulate. When I lost one of my biggest clients a few months ago, it was a shock. And it made me want to insulate. When my father-in-law was given the diagnosis of cancer…round three…and then shortly after, the diagnosis of 3-6 months to live…I again wanted to insulate. When my father-in-law died within three weeks of the diagnosis, again…insulate. That has been the sum of the past two months. All I want to do is gather my family around me like a big cuddly blanket and protect them from everything and also protect myself from all of the above. I want to lock our doors and not let the world in. I want to build the thickest wall I can and insulate us from all the stress and the hurt and the pain. For a little while, living in an insular world is okay. It breaks down all that mess into biteable chunks. If you’re there, it’s okay to disappear for a little while, regroup, and allow yourself time to heal. During this time, our energy is directed toward survival, and oftentimes we don’t have anything left for the creating process. There’s a reason it’s called burnout. Creative burnout feels a bit like a dry hole inside your chest, and forcing creativity at this time often does more harm than good. While you may be able to do things like work on an existing project or keep the ball rolling on essential projects, creating something new or working on a new task can seem insurmountable. Burnout often follows the five stages of grief. Denial: We’re actually okay. We can handle this, push through. It was just a bad day. Anger: Whether at ourselves or at others, anger often exhibits as being defensive. We can’t handle critique as well as normal, the slightest bit of negativity is enough to ruin our day. Bargaining: If we can just do X, then Y and Z will happen – sound familiar? Depression: We’re now moving into the reality of our situation and existing more in the present. Often during this stage, we feel empty, completely unable to create, and it also feels like this stage may never end. Acceptance: Once we reach this stage, we’re in a place to see beyond our current situation and understand that this time of creative burnout will not last forever. Instead of denying our feelings, we’re able to acknowledge them and create new and healthy connections. What we can do during creative burnout. First, acknowledge that you are in creative burnout. Burnout is not a shameful thing and it is not an indication of failure. Burnout happens. It is inevitable, especially when you have big events happening throughout your life. Like a forest fire, burnout is tough and can feel destructive, but without the fire, new growth can struggle. Next, do something different. Rather than going back to your normal creative work, try something new. Something you wouldn’t normally do. For me, I write really horrible poetry. Or I go for a walk, find a quiet place to sit down, and just let my mind wander. Now is not the time for creating something for show. Now is the time for spoon-feeding your creativity. When you feel strong enough, and it may come in waves, dip your toes into a new creative project. Set very small and flexible goals for the project. They can be as small as open a new document and write one sentence. Small steps to burnout recovery. 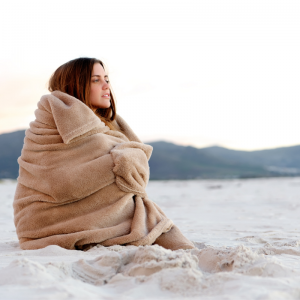 Taking creative burnout in small, easy-to-chew bites is key to burnout recovery. Not fighting the stages of burnout is also key. We must walk or crawl through the stages, but we must go through them. One of the most helpful things that I have done for my own burnout is talk with our creativity coach, Kerry Schafer. Her guidance through the stages of burnout has been invaluable and has allowed me to move more swiftly through the burnout process. 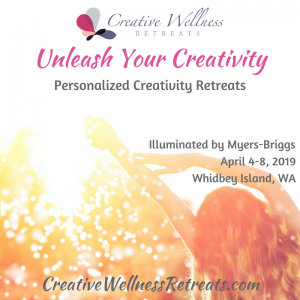 Our retreat this April on Whidbey Island will focus on moving through burnout and how to better feed your creativity to stave off burnout in the future. If you’re in the midst of creative burnout, know that you are not alone and there is hope. For more tips on working through burnout, sign up for our newsletter and receive a creativity guide inspired by Leonardo da Vinci. 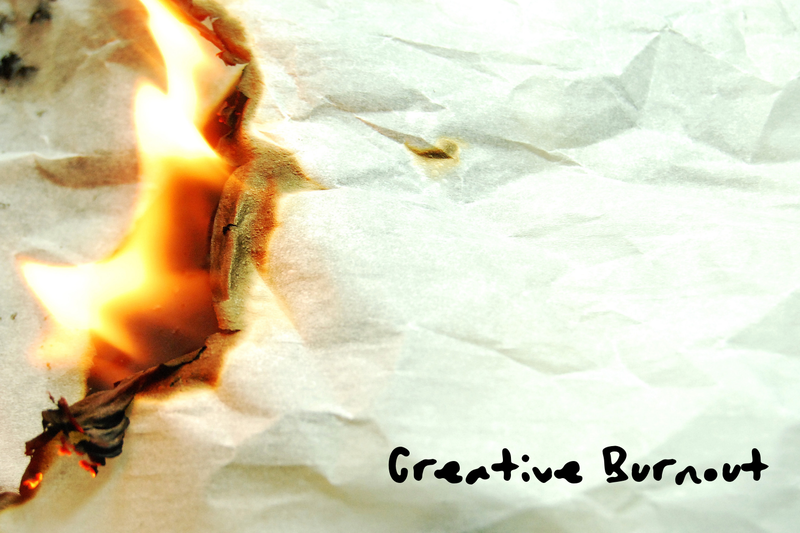 ← Are You in Creative Burnout? Take the Quiz to Find Out! I have had this page open for days and today I was finally able to sit down and read it. Perfect timing. I have been burnt out without knowing it was burnout. I talked to a friend yesterday about some stuff that has been going on in my life the past few years and she asked if maybe I was stuck because of that stuff. I never thought about it being connected in that way. And after reading this, I think she was on to something. I’m sorry that things have gone sideways on you Christina. Life can be so hard sometimes. Thank you for taking the time to put into words what burnout looks like for you. Your experience in life helps me. I’m so sorry you’ve been in burn out, Carol. I’m discovering more and more how much all the things that impact us throughout all the various aspects of our lives affect our creativity. As we creatives, we have to learn to be aware of ourselves and what’s going on in our lives. At times, it’s not us, not our creative projects that are causing the blocks, is all the “other.” Sometimes, knowing it’s the “other” is enough to help us begin to heal. I hope that’s the case for you! Thinking of you as you work through all this!